Weaves are great options for anyone who wants to change things up. There was a time when no one talked about wearing hair weaves. Many women couldn't afford to buy a weave and they were rarely found in the beauty pages of mainstream magazines. Back then, the fact that the hair on their heads didn't actually grow out of their scalps was a hush-hush affair. But not anymore. Today, many women experiment with their hair in every length, color, and texture. Instead of simply adding inches and volume to your style, hair weaves have become a way to introduce variety to your style repertoire. Plus, there are actually some benefits to wearing weaves. If you've never thought about wearing extensions before, it's time to find out why a weave might be a great option for you. Maybe you don't have a lot of time to spend styling your hair and you're looking for low-maintenance options besides a short cut. Wearing a weave will allow you to style your hair in a hurry—which is perfect for time-crunched mornings. Synthetic hair comes pre-styled, so all you really have to do is fluff it and go. Human hair weaves offer more versatility than synthetics, but are still generally easy to care for. Weaves are also great for vacation hair. You can relax and enjoy your getaway without spending precious minutes or hours on hairstyling. This can be especially helpful if your destination is somewhere tropical—even relaxed hair can suffer from that dreaded frizz when the sun and humidity join forces. Wear a weave for your time away and you can spend your trip enjoying the scenery instead of worrying about your look. Weaves are designed to be worn for a short amount of time, anywhere from one day to a couple of months. Unlike a haircut, which you have to wait on to grow out, hair weaves are low commitment options. You're not stuck with a weave forever, which is perfect for women who like to switch things up often. If you're not crazy about how your weave style looks on you, you can either ask your stylist to change it up or remove it. This also works well for anyone who likes to change up their color. Now you can have blue streaks one week and pink the next, with no fear of damage or upkeep. Want a new color? Or to see how you look with straight hair without using heat or relaxers? How about trying an ultra-short cut without having to snip your long tresses? 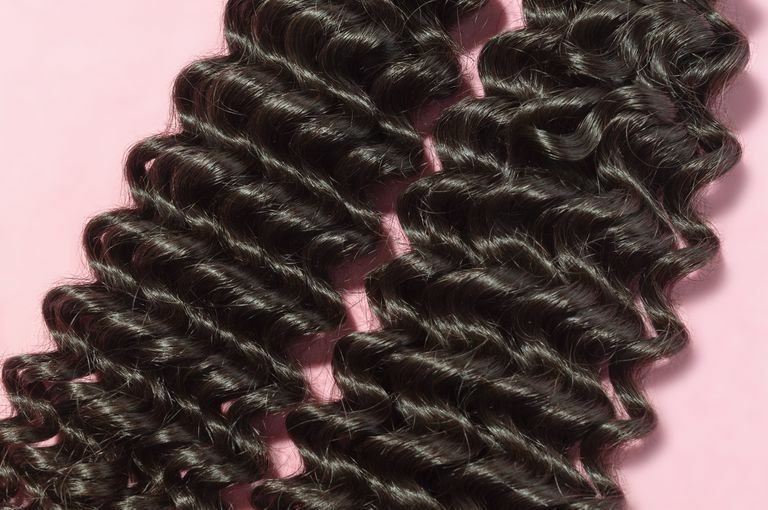 Weaves let you experiment without worry of damaging ​your own hair. This can be especially helpful to women who have to be careful about the types of chemicals they use.